When Sara Dietschy got her first taste of YouTube fame in 2016 (with a viral video parodying a Casey Neistat vlog), she may have seemed like an overnight success. Following the launch of that video, she jumped from 4,000 to 100,000 subscribers in one month. But, while the growth may have been almost instantaneous, getting there required years of preparation. 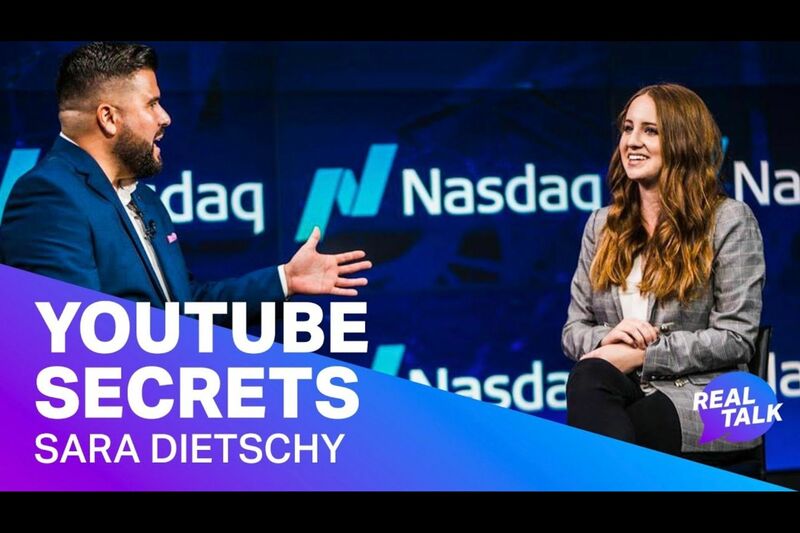 Since she was a junior in high school in 2011, Dietschy has been creating YouTube videos, primarily geared toward helping creators such as photographers and graphic designers. So when one of her videos went viral, she had a backlog of content that new viewers could explore, which helped her add and retain subscribers rather than having viewers bounce soon after seeing her viral video. Since then, Dietschy has been able turn content creation into her job. Being a full-time YouTuber requires monetizing videos through pre-roll ads from Google AdSense, merchandise, affiliate links and brand sponsorships integrated within her videos. On the latest episode of Real Talk, which you can see above or on Facebook Watch, I sat down with Dietschy to discuss what it takes to become a successful content creator, and she shared important lessons that both individuals and brands can apply to their work. According to Dietschy, who has also recently launched a podcast called That Creative Life, there has to be a reason for the story. If someone just creates a podcast because they think they should be on that medium, it’s unlikely to be successful. Instead, there has to be both passion behind the content creation and a value exchange so that the audience gains something for their time — whether it’s entertainment value, educational value or anything else. To that point, Dietschy notes that she’s discovering that creators who want to build a successful business from their content can’t be solely focused on the art of creation. They also have to understand the business side, knowing what goes into the vision and process of creating content that has value. On the same episode of Real Talk, Michael Mignano shared details about his podcasting platform, Anchor, which provides creation and distribution tools that make it incredibly easy for anyone to produce a podcast from their phones or computers. For many, podcasting has been a relatively expensive endeavor due to the cost of audio equipment, hosting fees and the effort spent on getting distribution. In comparison, anyone can quickly make a YouTube video or post an Instagram photo from their phones for free. As such, Mignano and his co-founder, Nir Zicherman, created Anchor (recently acquired by Spotify) as a free platform that lowers the barrier to entry into podcasting. At the same time, well-known creators like Casey Neistat and former NFL kicker Pat McAfee also use Anchor. In addition to helping podcasters get started, Anchor also recently introduced Anchor Sponsorships, a key feature that helps creators monetize their podcasts. The feature works by linking podcasts with sponsors who have ad copy ready for the host to read, rather than podcasters needing to go through a complex, manual process of negotiating sponsorship deals. Payouts are based on the number of listens, so even if a creator doesn’t have a chart-topping podcast, they can still make some revenue based on the audience they do have. In this episode, Mignano also provides valuable advice to aspiring podcasters, such as the importance of creating content on a consistent schedule, as well as not being held back by perfectionism. For more insights, see the complete interview above or head over to Facebook Watch to follow and be notified when new episodes go live.